ROTC students prepare for inspection during school hours. Since it started in 1916, United States Reserve Officers’ Training Corps Programs, more commonly known as ROTC, have been helping to prepare high school students to become productive citizens and leaders in their personal and professional lives. These programs have had a positive impact on students’ accomplishments in the classroom. ROTC, is designed to teach the value of citizenship, leadership, service to the community and personal responsibility while promoting a student’s sense of accomplishment, self-esteem, teamwork and self-discipline. “ROTC in Palo Verde started July 2001, because there were students here at Palo Verde that went to the principal and said they wanted an ROTC unit,” said Captain Gordon Doughty, who has been teaching in ROTC for 13 years at Palo Verde. ROTC is a beneficial program to have in school because it teaches students about leadership and how to become a good citizen. These students are also given special responsibilities, such as escorting guests around the school on special occasions and opening sporting events with the presentation of the American flag. 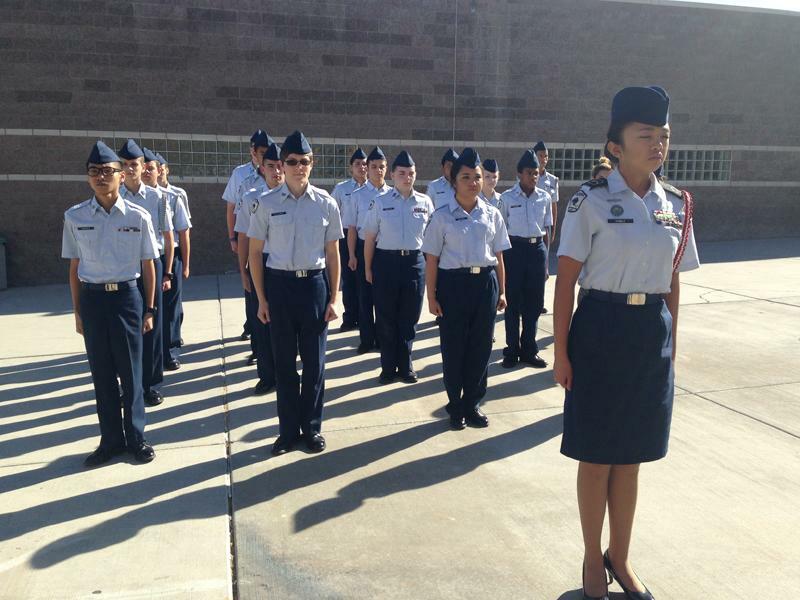 ROTC programs help high school students instill self-confidence and a sense of purpose. The curriculum requires students to wear their full dress uniforms once a week and places strong emphasis on general hygiene and physical fitness. “I think everybody should be in ROTC because it prepares you for life and high school. During high school, the teacher will yell at you to do your homework, but when you leave this place, nobody cares if you do your homework. Especially not the professors, because if you don’t do your homework in that class, you just have to pay and take it again. If you don’t show up for work, they will just fire you,” said Captain Doughty. It prepares high school students for responsible leadership roles while making them aware of their rights, responsibilities and privileges as American citizens. ROTC programs help students successfully apply for and receive college scholarships. Many college recruiters look at ROTC students more favorably when considering them for scholarships because they know that an ROTC student will likely be a solid return on their investment. “I believe that in ROTC you can get a lot more life skills that prepare you for the business world, for any jobs you would be holding, and it looks good on your résumé when applying for any college,” said Barkus. So the next time you see an ROTC student in uniform, remember that the uniform symbolizes more than dedication to the United States military. It symbolizes potential for success.